Antigua Distillery was formed in 1932, when a number of Rum shop owners joined forces to establish a distillery that would produce great quality Rum using their own molasses; muscovado molasses, in fact, which is of higher quality. English Harbour is aged for 25 years in used Whisky and Bourbon barrels, which makes for a high grade pour that every Rum aficionado should try. 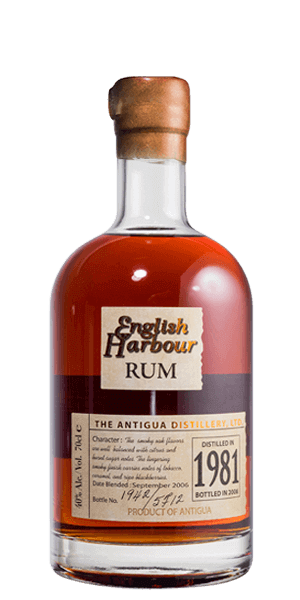 What does English Harbour 25 Year Old 1981 taste like? The Flavor Spiral™ shows the most common flavors that you'll taste in English Harbour 25 Year Old 1981 and gives you a chance to have a taste of it before actually tasting it.